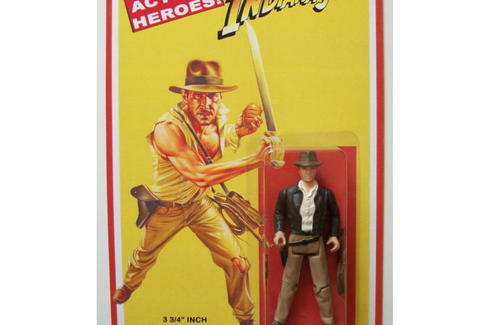 These 4" movie figurines from Old Colony Hobbies may resemble mint-condition originals issued during the '70s and '80s, but they're actually custom replicas that come complete with old-school packaging so authentic, your inner 11-year-old might actually pee your exterior late-20s-to-early-30s-year-old. And though they're "not meant to be played with", you've still got your pick of characters from Mad Max 2 (Max, Pappagallo...), Raiders of the Lost Ark (Map Room Indy, Katanga...), Alien (Sgt. Apone), Dawn of the Dead, and more.